I know, two challenges in a week! 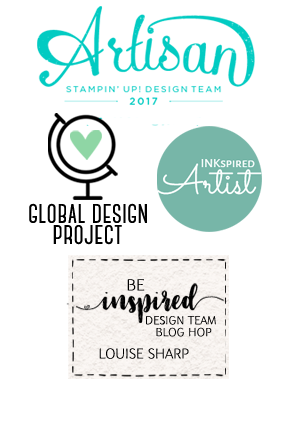 I have been wanting to play along at the Just Add Ink Challenge for a while now, ever since I met the beautiful Nikki Spencer at the Stampin' Up! Convention this year. 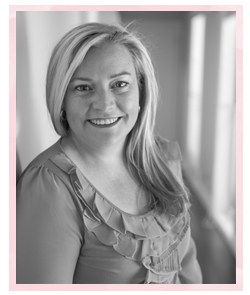 She forms part of the design team at Just Add Ink and is such a talented crafter. The idea around this weeks challenge is to be inspired by the photo. I decided to case my own swap card! Is that bad? (My swap card is the card I made to swap with other ladies cards at Convention this year...I made 70! ) 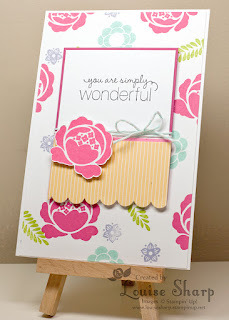 I did this because I really enjoyed making these and really do love this 'Array Of Sunshine' hostess stamp set. It also matches all the colours and elements in the photo. My 'Note Of Thanks' card has been made for a lovely, talented lady who I have only had the oppotunity to meet briefly, however she drove me back from Convention in Canberra this year and I am so grateful. 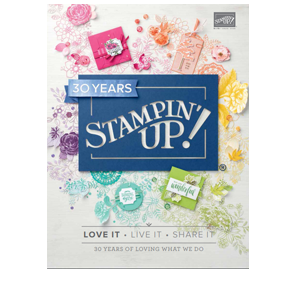 A huge thank you Marelle Taylor for making space for me, in a car packed with Stampin' Up! goodies! Thanks for stopping by - Love your comments! Wow, this is absolutely stunning, your layering and placement is perfect and love the stamp choice...l will be sad to see this set go! 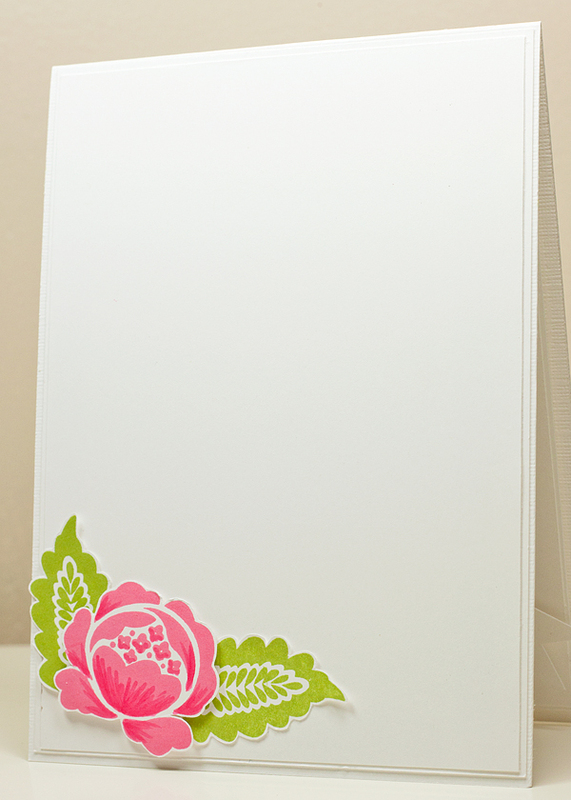 Another beautiful happy card! Great to see you over at JAI. WOW this is a stunning card! 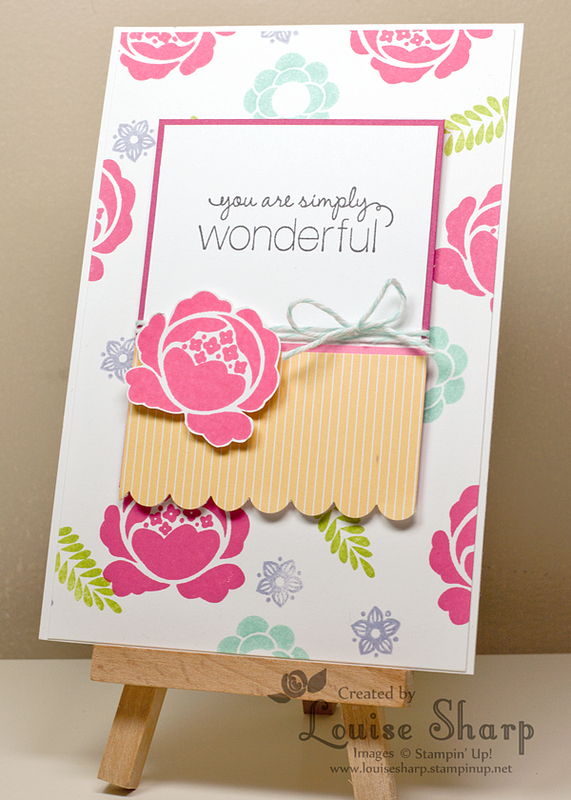 I really love the colours you have chosen and a great use of the diagonal scoring pad!!! So glad you were able to play along at Just Add Ink this week. This is such a gorgeous card Louise. I love your diamond background, the bow and the beautiful flowers. I'm so glad you could play along with us at JAI this week. I just love everything about your card from the vibrant flowers to the diamond background. This is nothing short of stunning. Thanks so much for joining in with the challenge at Just Add Ink. Your card is stunning! 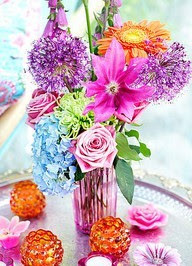 I love the quilted effect of the background and the pop of colour from the flowers is gorgeous! Thanks for playing at Just Add Ink this week. This is gorgeous Louise! love it! Thanks so much for playing along with us at JAI this week! This is gorgeous Louise. Love the bright colours against the white background. Thanks for joining us at JAI this week. I really like your swap card you did but your CASE of your own card is totally awesome!! WOW!!! 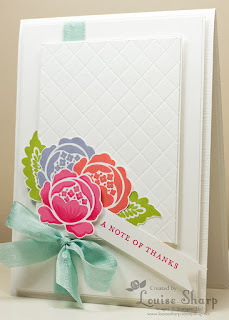 I will be featuring this card on My Crafty Picks #72 with a link back to your blog on 8-5-12. Make sure to stop by to check out all the picks and to pick up your blog badge to display on your blog for being featured!! If you wish to decline please email me by responding to this comment to let me know. Wow what a beautiful take on the original. Iknew it wouldn't take long before your awesome talent was found. Well done! Just love it !! Thank you for your visit ! You know I love all what you do too !!!! Very pretty card and love the color combo!